Mobility market has been expanding magnanimously and being adopted relentlessly by every next business we know. 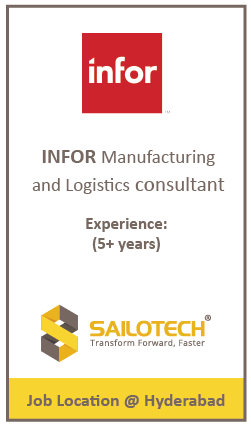 It has been an important facilitator for transforming operations and business processes in Manufacturing domain. To meet the ever-increasing expectations of customers and stakeholders in the ecosystem, to increase output, improve quality and reduce costs, manufacturing companies are adopting mobility as a strategic move. They aim to increase their global footprints. Global expansion productively. That should be the answer to the subheading. But let’s dig deeper: The manufacturing industry has been under constant pressure of improving their output and quality at a very low cost. It is vital to match up to the ever-increasing expectations of customers and stakeholders. As companies always aim at achieving excellence amidst the competitive nature of the market, there is always a call for strategic and innovative measurement in order to become cost-sensitive and agile. Mobility has been a boon in the manufacturing industry and it is among one of the recent adoptions which has enabled manufacturers to improvise their capabilities as an improvement in business processes. Mobile technology with manufacturing processes is transforming the industry as it is playing a game-changing role. Mobility vows of reshaping the manufacturing landscape with agility and effectiveness. Data and information play a vital role in executing business processes right from marketing to manufacturing. Mobility has the potential to manage your business from anywhere and at any time. Also, it provides a real-time update for decision makers. Mobility also offers information during emergency cases and therefore manages well the uncertain situations. Mobility facilitates in tracking and monitoring supply chain of your business while you are on the move. RFID technology enabled mobility solution helps in real-time tracking and therefore reduces human efforts and errors. Also, mobile devices are a great medium for communication and customer engagement. Digitization through mobile devices and networks enables productivity, optimizes supply network in an environmental-friendly and secure manner. Therefore, enterprises should look forward to automating their systems using innovations of mobility solutions. It is now high time for you to choose smart technologies for smarter business. Mobilizing manufacturing industry reduces a lot of manual processes, gives a real-time update and offers better visualization and accuracy. This gives enterprises a competitive advantage, quality maintenance, and customer support. Mobility solutions induced in manufacturing domain ensure the quality of deliverables offered which of course keeps customers happy. 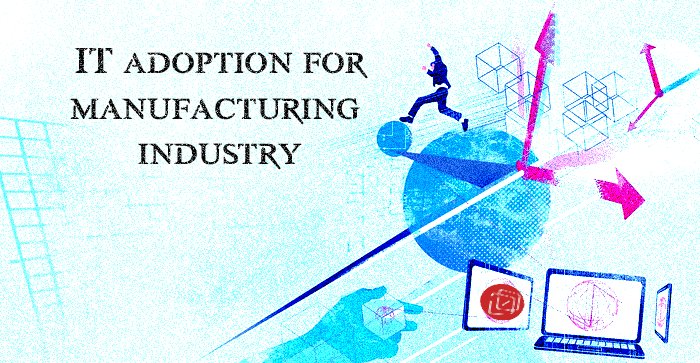 With the rise of automation in Manufacturing domain, businesses are more and more connected with digital data and mobile devices are managing and distributing businesses thereby we can clearly envision that future manufacturing plant will be virtual, collaborated, secure and mobile. Through technological advancement, the manufacturing domain will be managing everything easily and efficiently. Implementation of smart and mobile technology in business practices helps in focusing faster production, more orders and therefore generation of more revenue. Client satisfaction is the ultimate aim of any business and with the emerging trends of manufacturing industry, there will be some challenges which any enterprise many companies. Some challenges with enterprises keep struggling with are achieving shorter development time, quality and customization and minimizing cost etc. Incorporating smart and advanced technology system in various development processes helps in fulfilling product delivery in a limited timeframe. By implementing smart technology in manufacturing processes, businesses can achieve a cost advantage. Automating processes in manufacturing domain can lower down product cost. Production in factories is increasing at very faster rates. They just need not focus on improving the speed of machine but they also have to focus more on improving the throughput, thereby, improving quality and decreasing downtime. Mobility enabled CRM Solution help sales team in managing leads and opportunities on the move. Such CRM solution offers the instant availability of customer history, activity details, and contact details. By remotely accessing the CRM applications, the solutions help sales representatives in closing the deals much faster. Mobility Solutions like Store Operator, Maintenance Inspector, Plant Manager etc. can be provided to manufacturing units for automating processes such as Quality inspection, Rounds Inspections, approvals and rejections and Preventive maintenance.Such automated processes help in offering quality inspection, team notification for action items, overall view on production lines and alerts and reminders on critical levels. Smart Manufacturing process focuses on role-based production and quality and materials management system. This helps in remotely accessing the information on the shop floor. Such solutions improve process visibility and decision making, therefore, refines employee productivity and process efficiency. For better functioning and usefulness there are certain solutions which can be deployed in manufacturing processes. They can be Asset Tracking system, Supply Procurement System, Maintenance and Quality Control system and much more. Why There Is Need For Mobile Solutions Iin Manufacturing Domain? Using mobile devices and mobile applications have drastically changed the way manufacturing industry is operating its business processes. Organizations which are implementing mobility solutions in their manufacturing processes are benefitting extensively. Organizations are becoming more and more eager in prioritizing mobile technologyexpansion and improving their customer satisfaction level. This validates that mobility serves their customers in a better way. Across the globe, enterprises have shown great interest in mobilizing enterprise applications and they are spending on mobilizing enterprise applications and business processes. Solutions like Shop Floor Mobility, Asset Management, Automated Field Service help manufacturing companies in streamlining supply chain management process, reducing time to market for new products at very reduced rates. Supply Chain Management Solutions help companies improving their material tracking, better driver management, reducing pick and place time, automatica audit of truck inventory. Mobile-based inventory tracking solutions use QR code scanners which help in identifying things in a stored warehouse outdoor locations for quick capturing of data from labels Supply chain and QR code scanning. Shop Floors Integrated Mobility Solutions help in faster issue resolution as it helps in real-time monitoring of factory floor. Employees can easily get access to inventory, schedules, and tickets related to delivery, quality and production problems. Using such mobile applications supervisors can remotely control shop floors. Automated Mobility Solutions with the help of wireless devices can benefit sales leads in inducing better customer relationships and therefore better sales revenue.It also allows employees in tracking sales process, call status reporting, invoice creation of field sales. The usefulness and benefits of mobility solutions and automated processes in manufacturing enterprises has just begun and therefore there is a lot to explore and leverage. Having a long-term and productive mobile strategy is the need of an hour. Sources from Cisco says that by 2020 there will be over 200 billion connected things, 100 billion processors shipped 3 billion utility meters and 1.5 billion vehicles. Also, a recent Gartner study says that CIOs working at manufacturing companies now rank the investment in mobile technologies as a top priority. Organizations are getting benefits of customization, return on investment and real-time data which mobile technology can easily offer. So, how about digitizing and transforming your organization. Is it mobile yet? Please feel free to contact us and share your views and comments.